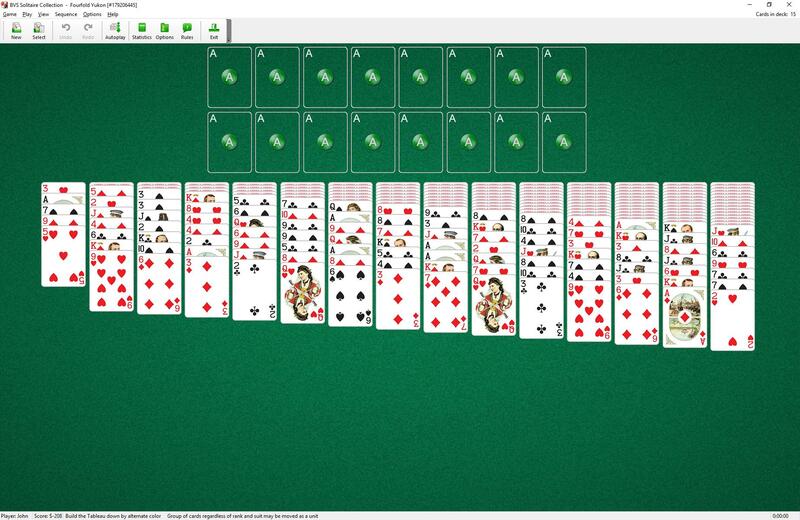 This solitaire uses four decks (208 cards). 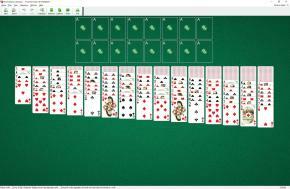 You have 15 tableau piles with the number of face-down cards per pile increasing from one to fifteen from left to right. Then 4 cards are dealt face up to the first tableau pile. 6 additional cards are dealt face up to the each of the eight piles on the right.